SpidoLite II is a true testament to supreme craftsmanship and architecture of the most technically-complex watch case design. 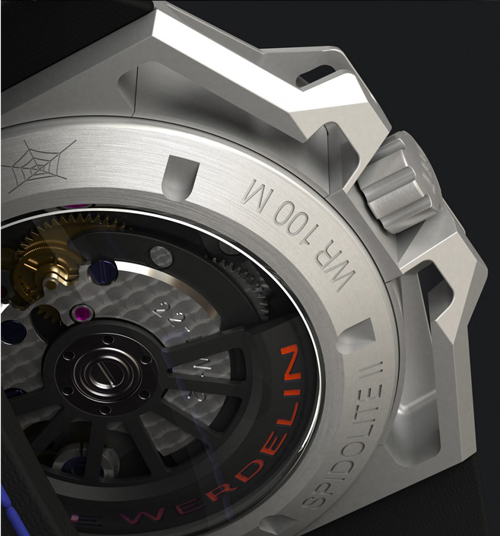 Featuring Linde Werdelin's signature fully skeletonised case and dial construction inspired by racing cars' weight reduction technology, the SpidoLite II is crafted in titanium to further reduce weight yet in a robust structure making it fit for even extreme altitude sports. 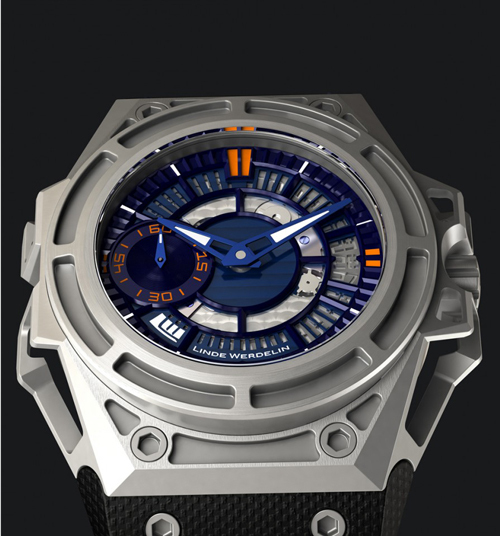 The SpidoLite II is produced individually with superb precision engineering in multiple layers, adding depth to a 3-dimensional skeletonised experience, revealing a beautifully finished custom-made automatic movement in the heart, as well as an in-house designed rotor bearing the LW logo through the clear sapphire crystal case back. A date function has been given to a SpidoLite model for the first time, while a seconds subdial is positioned at 9 o'clock. The blued steel hands create a stunning contrast with a touch of vibrancy to the industrial monochrome feel in this timepiece. 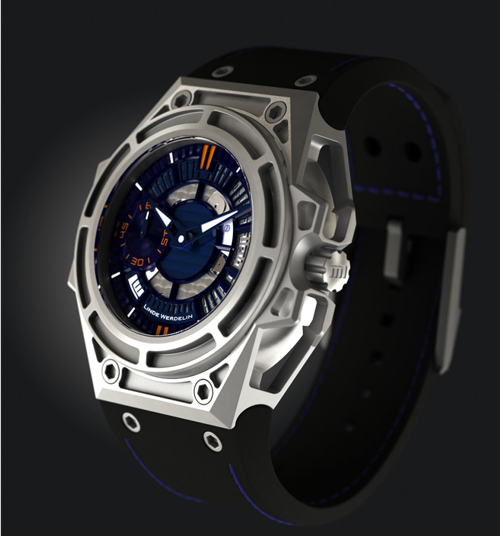 The SpidoLite II Titanium Blue is limited to 75 pieces worldwide in Series A. An Anthracite DLC version is also available.